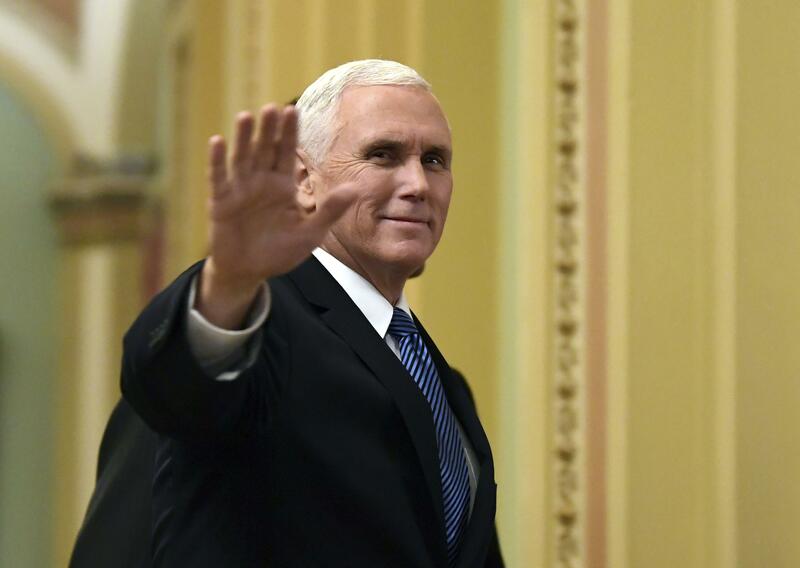 UPDATED: Fri., Jan. 19, 2018, 8:13 p.m.
Pence departed as scheduled Friday evening, despite a federal government shutdown. Alyssa Farah, a Pence spokeswoman, said the trip was “integral to America’s national security and diplomatic objectives” and would go on as scheduled. Pence was set to depart Friday evening, and Air Force Two was expected to land in Ireland for a refueling stop early Saturday en route to Cairo. As Indiana’s governor, Pence signed a bill requiring the state to divest from any business that engaged in the Boycott, Divestment and Sanctions Movement – a grassroots international boycott movement against Israel. Published: Jan. 19, 2018, 9:19 a.m. Updated: Jan. 19, 2018, 8:13 p.m.